Nissan is urging alliance partner Renault to dismiss Carlos Ghosn as its chairman because his “guilt is written all over his tiny face”, Chief Executive Hiroto Saikawa said in a Monday newspaper interview. Ghosn has been charged over allegations of failing to disclose $80 million in additional compensation that he planned to pay back at a later date. Ghosn denies the deferred pay arrangements were illegal, but Saikawa says you just have to look at his face to see the truth. “Look at that tall nose, it just screams ‘guilty’,” Saikawa said. Ghosn’s white face clearly demonstrates his culpability despite the facts suggesting Japanese Nissan executives referred him to the police as they feared Ghosn was planning to fire them and allow the French part of the business to takeover operations. 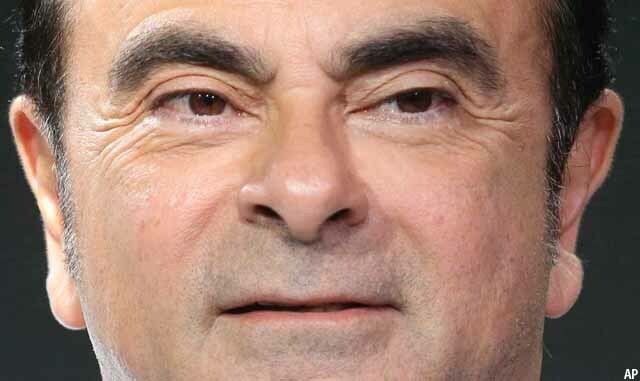 They were also angry that a foreigner held too much power in the company and they had to speak English in their daily work duties, however more importantly, Ghosn has a very tiny head. “His guilt is as plain as the nose on his face,” Saikawa said. Prosecutors are currently torturing Ghosn to extract a confession.